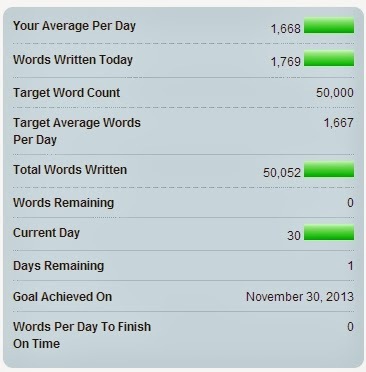 At last, NaNoWriMo is over! For some reason getting my daily word count in was like pulling teeth this year. Now comes the long editing process of this 120,000+ word novel to (hopefully) get it into marketable form. 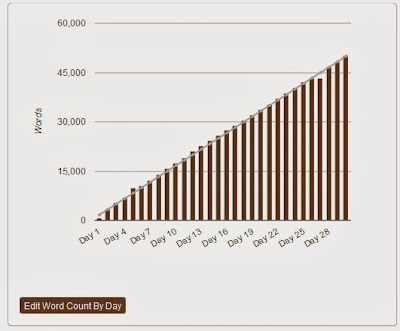 So, who else won NaNoWriMo? I took an early-winter walk this week. There wasn't much to see except this cheeky chickaree who fussed at me from some branches a short distance away. I couldn't resist taking loads of photos. 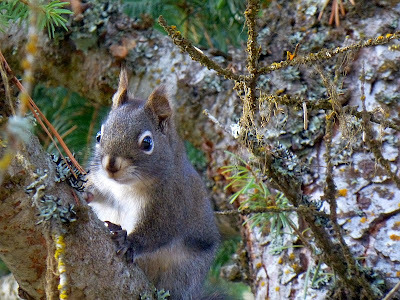 He just stood there chattering at me, posing beautifully. Although when he did move, he was nothing more than a blur. Wikipedia refers to chickarees as "enchanting to watch." They're quite right. This year for the first time in a long time, we didn't hold Thanksgiving dinner at our house. Instead we joined my parents, who are staying in Coeur d'Alene. My folks come up twice a year (spring and fall) and stay in Cd'A. (Sadly, my mother's very bad asthma precludes her from vising our farm any more.) They come mostly to see the girls, and without their brave trekking between states we would hardly see my parents at all since they live so far away. They're not usually here this late in the year, so it's a rare treat to have Thanksgiving dinner with them. My mother and I split the cooking. She made the turkey, gravy, and veggies; I made the stuffing, dinner rolls, and dessert. I did all my cooking yesterday. I started with bread stuffing. Two pans, ready to cook. The day's tally: a basket of rolls, wild rice stuffing, bread stuffing, two cheesecakes, and a blueberry pie. ...then indulging in a much-needed glass of wine after nine hours of cooking. This morning after church, we joined my folks. All the bounty was on the table. We had a lovely but quiet -- and very blessed -- Thanksgiving Day. How was yours? Remember the old Yogi Bear cartoons? "Smarter than the ave-er-age bear!" Well here's a cow a far sight smarter than the average cow. 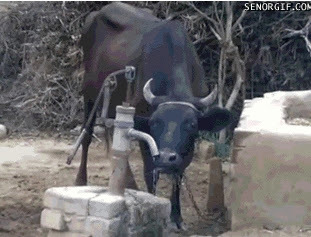 It's an animated gif showing how this cow learned to pump her own water. Don went into Coeur d'Alene today to do some errands, including a stop at the excellent St. Vincent de Paul thrift store where he purchased a pair of pants and a warm winter shirt. Total due: $9.00. While ringing up his purchase, the nice gentleman cashier asked Don if he wanted the senior discount. Of course Don said NO. I mean, really. Don, a senior? Bah. But just out of curiosity, Don asked how old he would have to be to get the discount. He ended up saving $2.00. 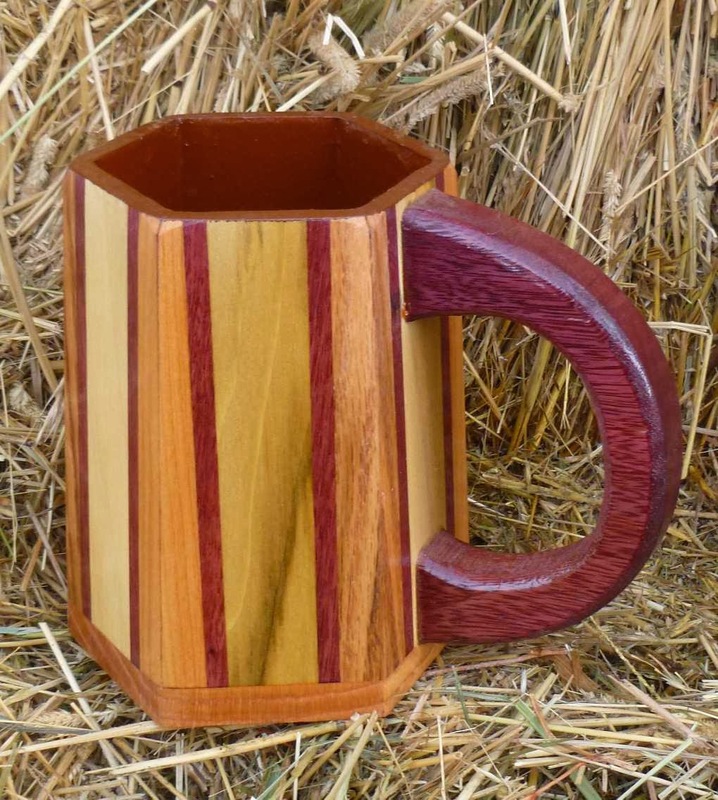 We currently have a limited selection of our exclusive tankards available for retail sale. See this link for further details. We'll have a few more up in a couple of days, and some higher-end pieces available in a couple of weeks. Happy browsing! More and more Americans are spending money to get ready for an uncertain future -- gathering food, water, tools, and skills to help them weather anything from a hurricane to a pandemic. Contrary to images of deluded or gun-obsessed "lone wolves," many preppers are average consumers reacting to concrete worries, and their way of thinking is spreading, fueling an emerging lifestyle trend. Ouch. So preppers are educated, normal people. Where’s the fun in that? How can we poke fun at college-educated middle class folks with the good sense to look to their future? Critics of the prepper crowd have yet to be able to adequately explain why being prepared is a bad idea. What's going to go through their mind when a hurricane is roaring down upon them? Are they thinking how stupid their neighbor was to have what he needed in advance? Or is he thinking how likely his neighbor might be to share the necessities of life with him when the power goes out for three weeks? In nature, animals are constantly on the alert to danger. They’ve learned to trust their instincts and react accordingly. But in humans, we’ve lost that ability. We ignore red flags, disregard the signs of impending doom, and ignorantly assume “It can’t happen to me.” We expect others to provide for our needs if hard times come, rather than preparing for those needs ourselves, to the best of our ability. Hmmm. Mr. Reporter, has it occurred to you that you're actively looking for the "extremists and kooks," while ignoring the regular folks with legitimate concerns? Why are you so determined to focus on the extremists at these events? I realize that extremism is the lifeblood of news ("If it bleeds, it leads"), but why are reporters so reluctant to admit that when smart educated people – doctors, lawyers, accountants, etc. – join the rest of the "tin foil hat wearing club," maybe it's because THERE'S A DARNED GOOD REASON FOR IT? So I ask the rhetorical question – if “ordinary people” see something worth preparing for, why are you still trying to paint them with the broad brush of conspiracy-laden idiots? What it boils down to is these reporters still can’t admit that there are unimaginably evil things going on in the upper echelons of government. 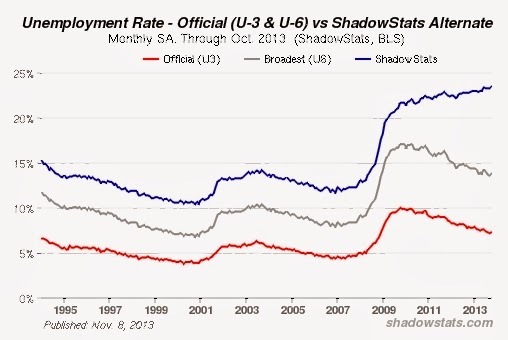 Can anyone look at America’s debt and doubt that it is unsustainable? 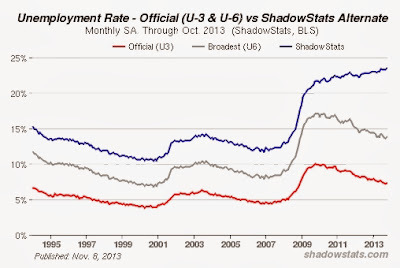 Can anyone look at Shadowstats and see the REAL unemployment rates, and compare them to the Great Depression? Perhaps someday these types of reporters who attend preparedness conventions will understand that the concerns of most preppers stem from a solid understanding of economics, political history, and the potential for natural disasters. We needed more hay for our critters. Since we had so many calves born this year, we wanted to have about 25 tons of hay in the barn (since we feed through mid-May) and were short by about ten tons. Our next-door neighbor had baled timothy (an excellent feed grass) and had more than he needed for his horses, so earlier this month we bought ten tons from him. The bales are 650 lbs each. The problem was moving them. We needed the weather to cooperate. We've had some early snowfalls and then a warming spell that melted everything off and turn the ground to absolute mud. Not good conditions for moving heavy amounts of hay. But this past week the weather cooperated at last. It's been bitterly cold (10F in the mornings) and beautifully sunny. Daytime temps haven't gone above freezing, so the ground is now rock-solid and perfect for moving hay. Perfect, but cold. It's the kind of weather where the critters will take any and all opportunities to just stand in the sun, absorbing the rays like little solar cells. In the days preceding Moving Day for Hay, Don spent a lot of time cleaning the barn. He had tools and equipment scattered all over from building the awning, as well as miscellaneous other detritus that somehow always manages to find its way into any covered space. The last thing to do was rake up all the loose hay on the barn floor. It was so cold out (12F) that I finally got out some handwarmers for Don, which he slipped into his gloves and at least made the conditions more tolerable. After the barn was clean, Don borrowed another neighbor's tractor and went next door to hitch up a trailer. Steve (the neighbor who sold us the hay) used his tractor to load ten bales at a time onto the trailer. Don temporarily took down the fence between our properties, and pretty soon came chugging back, carefully towing the trailer with the hay. Steve followed on his tractor, to which he had put on forklift attachments, and unloaded the bales. This requires more skill than it seems. He had to slip the forklift blades beneath the top bale, but without sliding them through the strings of the lower bale. Many times he caught the lower strings and so had to pull out and try it again. Then he stacked each bale neatly in the barn. It was wonderful to see the hay piling up. Don and Steve repeated this process three times, for a total of thirty bales, just a bit under ten tons. By the end of the hay moving (which took about three hours) both men were seriously cold, even though the temperature had moved up to a balmy 25F. The handwarmers (I gave a pair to Steve as well) helped a lot and at least made working conditions bearable. Evidently not a barn burner, since at the time of this posting it has no comments. Shrug. Can't win 'em all. Here's a fascinating column by Creek Stewart called Time to Get Tough! Save America's Masculinity, reprinted with permission. I found it raised some superb points. I get a lot of calls from parents who have questions about the survival courses we offer here at Willow Haven. Many parents are concerned whether I think their boy(s) will enjoy the course. I’m not a parent, and I won’t pretend to know how to raise children. But I am a guy and was once a boy and I know what boys want – and what their masculine spirit needs. I also know that if we don’t let them be boys, then the survival of masculinity in America is at stake. Help save masculinity and the American man by encouraging the following ideals with the boys in your life. Boys want adventure. They want to be a part of wild nature. They love the challenge that being in nature presents. If your boy is trapped in suburbia, get him into the woods once in a while before his masculinity is suburbanized. Suburbia will kill the adventurous spirit in even the most manly man if he can never venture into the wild. Men and boys need nature and the wild adventure that it offers. Let them experience the organized chaos that only nature can provide. Give them a landscape view instead of one across a remote control. Let them throw rocks, wade in creeks, fish, chase small game animals, explore paths, hunt for arrowheads, run barefoot, build forts and hike mountains. Nature will take care of the rest. Yes, let them play with dangerous things. Boys want to be warriors, soldiers and hunters. Warriors, soldiers and hunters carry weapons. All boys want to play with weapons, and there is nothing wrong with that. It’s natural, and that masculine desire should not be stifled. So many wonderful lessons can be taught while training a young man to properly handle dangerous tools and weapons such as knives, bow and arrow, guns, swords, fireworks, sling shots, clubs, spears, frog gigs, axes, chainsaws, machetes and tomahawks. Boys can learn discipline, self control and restraint. More importantly, they learn respect – for the tools, themselves and authority. Under watchful guidance and supervision, let them live their own video game and play with dangerous things. Boys want to be heroes. They intrinsically want to save the girl and the world. My intention is not to offend the new breed of women who resist heroic chivalry, but I am unapologetic in my belief that boys should be trained to be men who want to provide for and defend women. Teach them to be the knight in shining armor who fights to save the princess. There is a sense of pride and self-worth that only comes from providing for and taking care of a woman. Don’t steal this amazing feeling away from a boy who wants to be some girl’s hero. I completely agree that women should have equal rights, but I still also believe that men should still be expected to provide for, serve, protect and defend their princess. It’s crazy that this behavior offends some people. Not raising boys to become men who are encouraged and expected to behave this way robs them of their natural desire to be heroes. Boys should not be scared to display heroic and chivalrous behavior because someone may be offended. It’s OK for boys to be boys and girls to be girls. Encourage boys to serve, respect, protect and provide for the women (mothers, sisters, wives, grandmas, aunts, girlfriends) in their lives. Give them the opportunity to develop their inner hero early. This country needs manly heroes who unapologetically respect, serve, provide for and defend their women. Competition among males is natural. It is certainly one thing we have in common with our wild male counterparts in nearly all other living species. We (men and boys) are wired to compete with one another. Discouraging that competitive spirit discourages masculinity. Help the boys in your life find the skills and talents they are good at, and encourage them to hone those skills and gifts through healthy competition. Let us puff up and display our plumage and crash our antlers together and pound our chest. 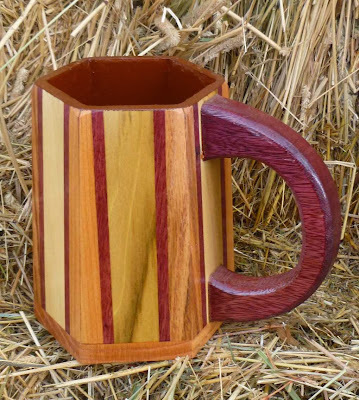 You may see it as a little ridiculous, but it’s a unique part of us that makes us men. Boys and men find value, self-worth and identity through hard work. Teach the boys in your life to work hard. America needs hard-working men who take pride in their work. We need to encourage boys to work hard with their hands instead of holding their hands out. Not working is not manly. A man can work hard even if he’s out of work. It can be hard work to find a job. Set a hard-working example for the boys in your life and expect the same from them. The survival of the American man is at stake. There seems to be an underlying movement that discourages masculinity. I see it clearly in my own generation and those behind me. It’s perpetuated by mainstream media and almost every sitcom on every television channel. I’m afraid we’ve become numb to the demasculinizing of American men. We don’t need a new modern version of man. What we need if for our new men to be raised to embrace good, old-fashioned manliness. Remember it’s not IF, but WHEN. 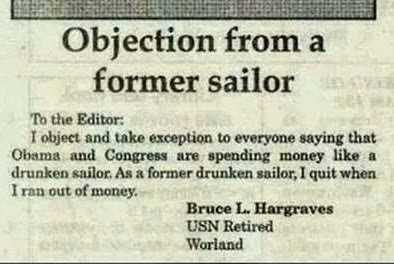 As the wife of a former sailor, both Don and I got a HUGE laugh out of this. We had some weather move in late last week. But that's okay. Thanks to the new awning on our barn, the cattle were protected. But we learned the awning had an entirely unexpected side effect -- the water from the roof drained into the adjacent bull pen and congregated in the bull pen shelter. ...but it left a goopy stew of "quick mud" inside the shelter that was about eight or ten inches deep. Truly ugly nasty stuff. We realized our poor critters had been unable to use their shelter during the storm. While eventually we'll have to install guttering and drainage systems, we needed a more immediate solution. And the most immediate solution we could think of was to load the pen with gravel. Without much option, we cannibalized the pile of gravel in order to back-fill the bull pen shelter and create a gravel base. But how to move that much gravel into the bull pen? Trundling it over by wheelbarrow would take hours and require pushing the wheelbarrow through a lot of sludgy mud. So Don decided to disassemble the backside wall of the shelter and use our neighbor's tractor to move the gravel. We used a cattle panel (sometimes called a hog panel) to block the bull (and the cow/calf who's with him at the moment) and keep them out of the shed. Then Don removed four of the sheet metal panels from the side of the enclosure. Armed with a shovel and rake, I got gravel duty. Don carefully maneuvered the tractor bucket between the girts in order to dump the load. While he drove around to scoop up another bucket-ful of gravel, I shoveled and shoveled and shoveled and shoveled. But no matter how thick I laid on the gravel, it just seemed to disappear into that horrible mud. This is my boot, sinking. I lost track of how many times Don dumped another bucket-ful of gravel, but it was a LOT. He estimates we went through three or four cubic YARDS of gravel, and ended up raising the level in the bull pen shelter by eight or ten inches before we finally conquered that mud. This diminished the gravel pile by quite a bit, so at some point we'll have to pull in another truckload (or two) for the garden. But I am mighty grateful we had that gravel to begin with. Then we broke open a bale of hay and spread it out. We figured the critters were entitled to a little bit of spoiling after all that mud. Here Samson peers into the pen, wondering when he'll be allowed to start eating. Soon, big boy! But first we had to reassemble the outside sheet metal paneling. The animals certainly enjoyed their dry digs! But wait, we weren't done. Yesterday morning, well before dawn, Lydia kept barking both inside and outside the house. But I didn't hear a thing from outside, so it was with considerable surprise when, at first light, I saw every single cow out in the driveway. (Usually when a few cows escape, they all bellow. Since this time ALL the cows had escaped, no one was bellowing...the sneaky little turds.) No wonder Lydia kept barking. It was 6:20 am when I woke up Don. He said news like that is better than coffee for waking up. Not as enjoyable, mind you, but certainly better. Adrenaline will do that. The camera flash revealed some of the animals had climbed up the hay bales for additional snacking. Aarrrgghh! The critters cavorted around in the early morning light. Once we closed the driveway gate, we decided it was more important to have our morning coffee/tea before tackling the roundup. However we skipped the morning feeding, since the cattle were already glutted. ...and then wrapping baling twine through the panels and around the boards. This strengthened things considerably. This wall of cattle panels is temporary. Don has permanent feed boxes planned which will regulate feeding much more efficiently (as well as waste less hay). Bonus pix: chickens in the slushy driveway. Life on a farm. It's never dull. True, we tend to lurch from crisis to crisis, but that seems to be par for the course.